Fibromyalgia is a condition in which those affected have an increased sense of pain in relation to pressure. It is typically characterized by chronic pain on different points of the body. Other symptoms of fibromyalgia include fatigue, issues with sleeping, as well as issues with short and long term memory. In addition to this, some people report having bowel and bladder issues as well as heightened sensitivity to light, noise, and temperature. The cause of fibromyalgia hasn’t been completely discovered, but many researchers believed it is caused by various genetic and environmental factors. Pain caused by a seems to be mostly due to the central nervous system functioning improperly. Diagnosing fibromyalgia can be a challenge as there are no tests that can be performed which directly confirms that someone has the condition. Treating fibromyalgia can also be difficult, while there are some medications can be used. they aren’t comprehensively effective. Other treatment options recommended typically include getting an ample amount of sleep, developing an exercise regime, and eating healthy. In some cases, opiates can be prescribed– but they are merely a means to an end. 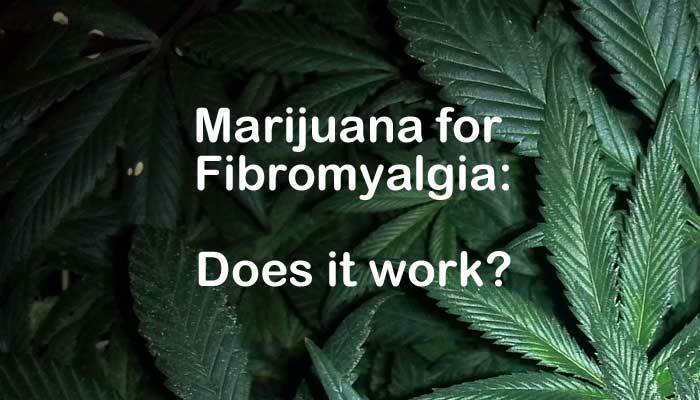 So how can medical marijuana help with fibromyalgia treatment? Dr. Ethan Russo proposed in 2004 that fibromyalgia, as well as other related conditions, such as migraines and IBS may be part of an underlying deficiency. The idea of clinical endocannabinoid deficiency or CECD is a relatively new one. Russo states that these conditions “display common clinical, biochemical and pathophysiological patterns that suggest an underlying clinical endocannabinoid deficiency that may be suitably treated with cannabinoid medicines”. Russo goes on to explain that THC can diminish the increased sensitivity to pain experienced by fibromyalgia patients as well as those who experience migraines and other related ailments as well. By ingesting medical cannabis you can efficiently refill the bodies natural endocannabinoid anandamide which in turn can reduce the symptoms from fibromyalgia. This suggests that conditions such as these could be linked to CECD. Nearly ten years after Russo’s thesis was first published, Californian researchers decided to investigate into his theory. In their review, they established that Russo might be onto something. They suggested that endocannabinoid deficiency can play a role in fibromyalgia, IBS, migraines, and a myriad of other relatively unexplained neurological maladies. Sleep deficiency is debatably one of the defining characteristics of fibromyalgia. Many people with fibromyalgia report that not adhering to a solid sleep schedule typically increases the overall amount of pain flare-ups they experience. When ingesting medical cannabis to aid sleep, make sure to acquire an indica strain. Sativa strains are usually characterized by giving a nice head high, whereas indica strains typically have more CBDs and produce a heavier body high. One of the main fibromyalgia symptoms that cannabis can help alleviate is the pain associated with the condition. Medical marijuana has been shown time and time again to be an analgesic (painkiller). In 2014, The National Pain Foundation published a survey which included over 1,300 fibromyalgia patients. Fibromyalgia is a qualifying medical condition to obtain a medical marijuana card in most medically legal states. Even still it was a surprise when they found that 30% of those who participated in the survey had used medical cannabis for their ailment. Of those who had reported using cannabis, 62% claimed that it had been ‘very effective’ in reducing their pain levels. 33% Reported that medical cannabis had ‘helped a little’ and a staggeringly small 5% said it did not help at all. Overall, medical marijuana seems to be a reasonable avenue to take fibromyalgia treatment down. While more research needs to be done on the subject, evidence suggests cannabis could relieve many fibromyalgia symptoms.